This entry was posted on Sunday, February 11th, 2018 at 8:30 pm and is filed under Made in China, Ponderings. You can follow any responses to this entry through the RSS 2.0 feed. Both comments and pings are currently closed. It’s not clear what point you’re making here given that the phone in the pictures has a large bottom bezel, approximately the same height as the notch, but obscuring more of the screen. I don’t really understand this article at all, to be honest. Oh, okay. Your point makes somewhat more sense with the update, but it’s predicated on one sketchy report about China sales which was made before their earnings report came out, which didn’t show any signs of a rejection by China. 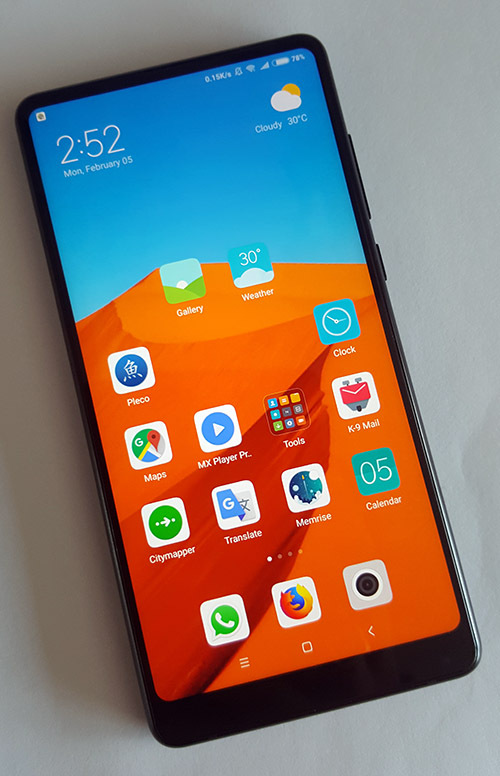 The concept that Chinese people particularly don’t like screen notches and prefer fat bezels on the bottom of the display seems like poorly supported speculation. 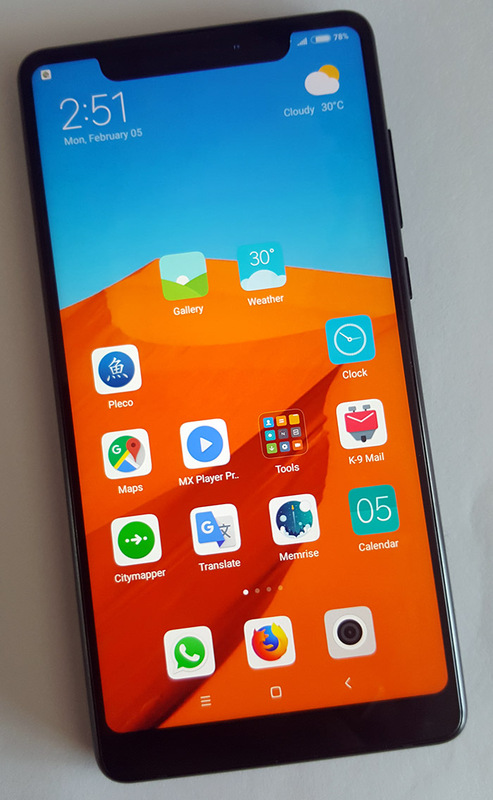 Bunnie, can you turn the Xiaomi phone upside down so the black bar is on top, and then do a comparison between the two? I don’t particularly care for the X, but it’s a bit cheap to fall for a marketing gimmick that seems to ignore the fact that the X has a higher percentage of the frontal area dedicated to the screen than the Mix2. I hear Apple is going to bring all its iphone manufacturing to the US. I doubt it. But they might bring in “high end” devices like the X to reduce the “leaking” of know-how to the competition. If they bring manufacturing to the US, to be remotely competitive, they will need to hire as cheaply as possible so leaking will happen anyway. Not necessarily! Steve Jobs (one of the founders of Apple!) originally left Apple (i.e. was actually fired!) in 1985 to start a new computer company called NEXT which made their high end workstations in the USA in a FULLY AUTOMATED factory that literally had NO PEOPLE in it…just the quality assurance people and shippers! And Tim Cook being an EXPERT in procurement and logistics, has no problem with understanding HOW to make a fully automated lights-out factory in America which would protect the high end intellectual property of Apple. I suspect that Apple is in fact going to design and build a NEW factory probably in the Las Vegas area which is near a major Airport and rail system AND which has LOTS of cheap land in the outskirts! This factory will PROBABLY have no humans in it as it will be full of high end auto-chip placers and motherboard assembly, vast pools of wave-base single-pass motherboard soldering gear, machine vision for Quality Control and probably even automated shipping and receiving lines. I suspect that that the new factory will make the new high end 13 inch and 18 inch pro-level tablets, new pro-level Mac Pro towers systems and the ultra high end iPhones that would have the new multi-zoom sapphire lenses (from Zeiss?) and the larger “Half-Inch” full 6k resolution (6144 by 4096 pixels) sensor (probably a Sony) with 10-bits or 12-bits per colour channel (i.e. HDR video) at 60 fps and possibly up to 120 fps! I have heard through the grapevine (it’s on here FIRST!) that Apple is TESTING in-the-wild 4K DCI format (4096 by 2160 pixels) VR glasses that use a FIBRE-OPTIC connector for handling the bandwidth. I have ALSO HEARD that the refresh rate on the SINGLE screen face of this 4K VR headset will be a FULL 120 frames per second to prevent dizziness and strobing effects. Sound reproduction is said to be built-in closed earmuff-style noise-cancellation and Apple Beats extended dynamic range technology (12 Hz to 22 KHz at less than 0.02% THD — Those are the quoted specs!). I have been told that the screen will be the first curved OLED system in a VR headseat. If it TRULY IS OLED, then it means Apple is REALLY SERIOUS about HDR video which means image quality will be utterly SUPERB! This also means that on newer and larger macbooks, towers, iPads and iPhones, an additional low-profile multi-mode (i.e. plastic) fibre optic cable and connector will be included for high-bandwidth 120 fps 4K VR video. Soooooo….You Heard that Here FIRST! Bunnie, I seriously doubt Apple would move sensors to the bottom of the device. It’d be a stupid move, given that the nostrils-up view of people in video chat is definitely not the best way to go. Can’t wait to see if they figure out a way to hide the sensors, but given their display pixel density and move to OLED, I kind of doubt it. Plus it would mean permanently fusing yet another major subsystem to the display (OLED, captouch, fingerprint (TBA) and now this); the yields could start to s*ck big time. This won’t happen, but not because someone else hasn’t done it first. That’s never stopped Apple from copying a good idea and getting a good amount of press for putting it in the mainstream. But even Apple wouldn’t try to pass off a bottom-bezel selfie camera as suitable for selfie purposes. Apple has screwed themselves. They are quickly becoming the new IBM. I am never going to understand why they chose that “iconic” notch instead of making the background around the notch black and still showing the icons. Then the notch would essentially be invisible, and people would think that the screen went all the way to the edge. I’m sure Apple is looking at ways to make the notch smaller or putting it behind the screen somehow. I seriously doubt they are even thinking of moving the camera to the base. They go through so much trouble to get good portrait shots. As others have noted, they don’t want a nostril-cam. 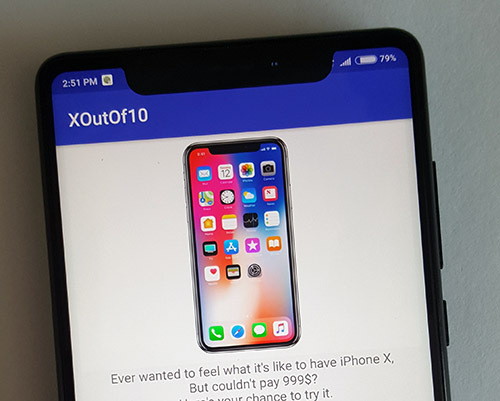 What I find interesting is that there are phones with a fake notch. The notch is now a status symbol. It’s like those 17th century fake pocket watches that people wore when they wanted the status, but could not afford an actual pocket watch. 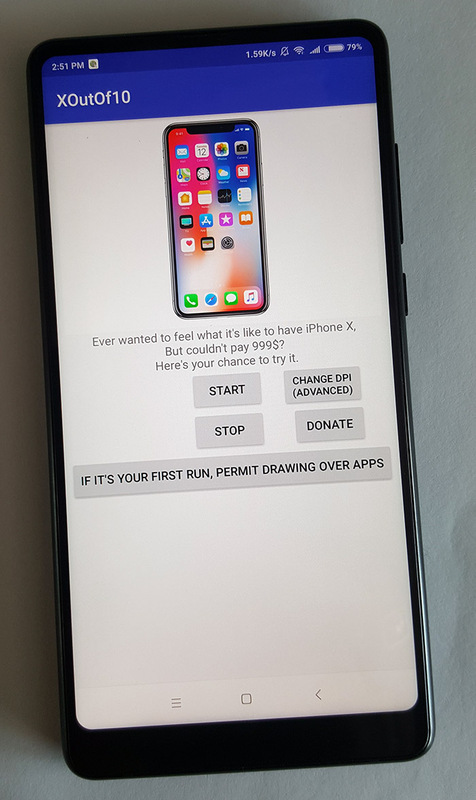 Or alternatively, replace the notch with a “wart” – magnetically attached sensor cluster that can be used for taking handheld photos at weird angles while previewing on your screen. It needs quick charge battery/capacitor for ~5 mins and short range (5m would be too much). Useful and price compatible product, good for beginners, and easy to use at the phone. Even though it is not some professional stuff, but it is sufficient to me. I also read the same thing in a different article is it true? I am really interested to know this.